Talk about breakfast with a view, if only I could wake up to this every morning. 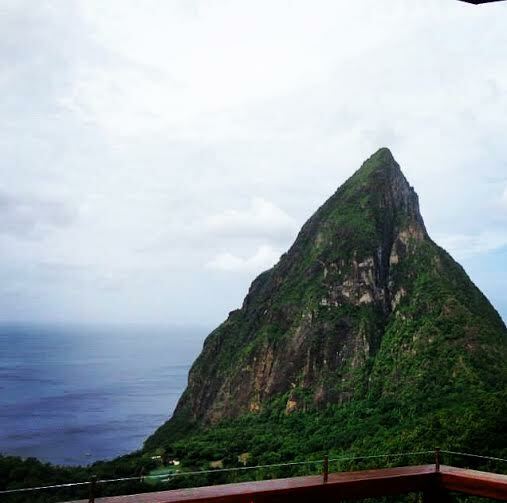 This photo was taken at Ladera Resort in St. Lucia while my husband and I were on our honeymoon. I bring this up because Dasheene, the restaurant at the resort, made the list of 50 of the world's most breathtaking restaurant views and it's easy to see why. I'm salivating just looking at this recipe for Mascarpone Peanut Butter Pie With Cocoa Crust. This guide to summer in the South has been book marked on my computer for future reference. I think this needs to make an appearance at the next pool party I go to. Actually, this one is more my style. These wine glasses are perfect for those outdoor gatherings when you just don't want to break out the good stuff. No pun intended. Doesn't this top look comfy?! Need a pasta salad recipe? Try one of these 25 recipes from Cooking Light. Follow along on Facebook, Instagram, Pinterest, and Bloglovin'.